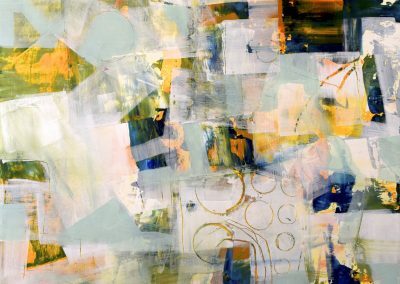 Linda attended the University of Cincinnati DAAP with a double major in design and fine art. 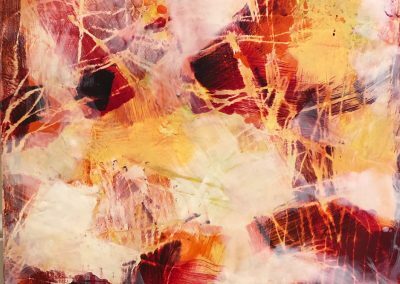 Working her day job as a designer and honing her skills in fiber and textile design on the side she took all the knowledge to develop a long journey with handmade paper with color and presentation being the driving force. 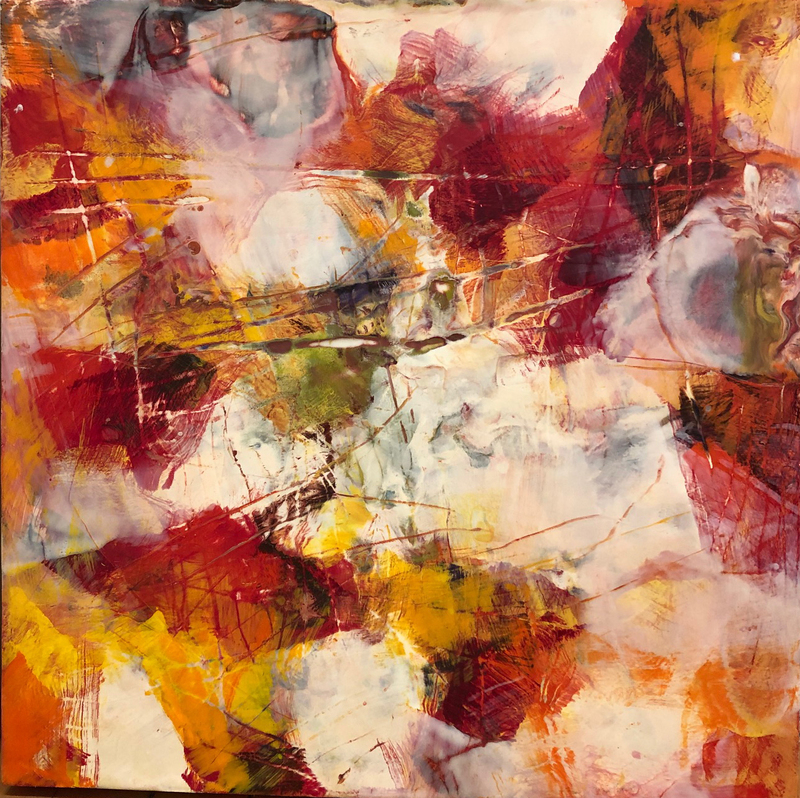 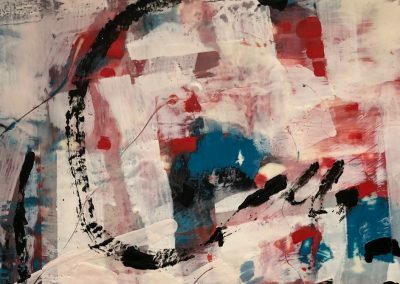 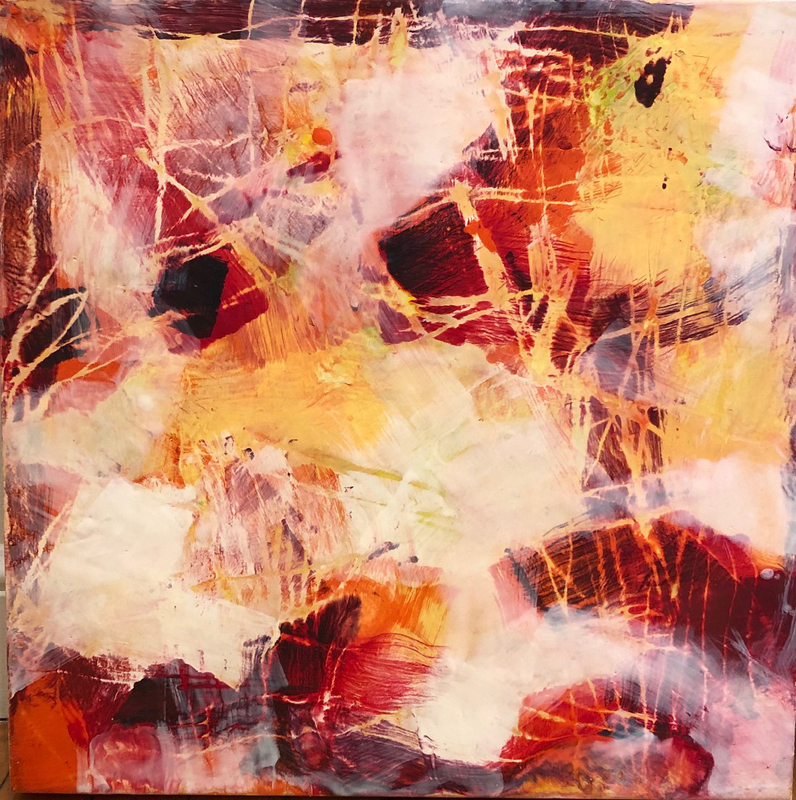 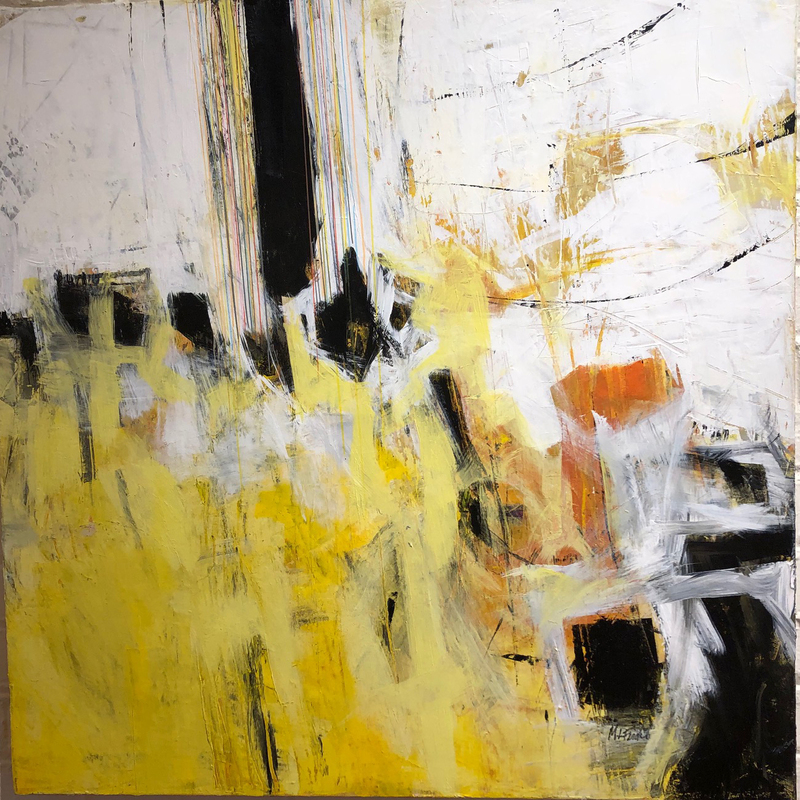 The next and current development has been researching and pursuing encaustics and painting with her consuming passion for the use of, combining of, and repositioning of color and all the endless directions she can explore. 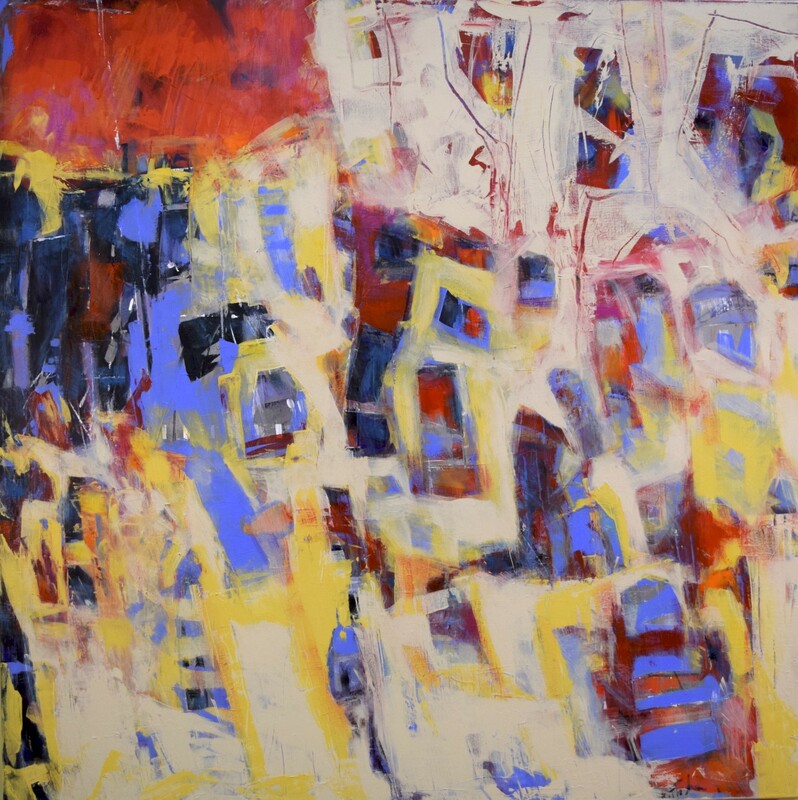 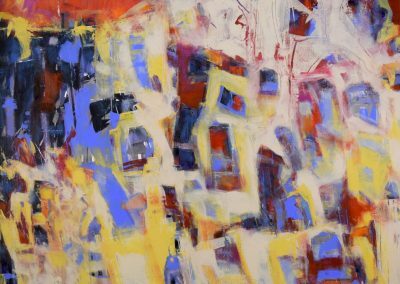 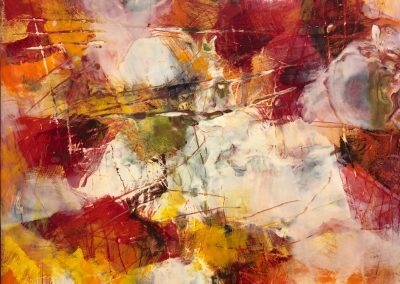 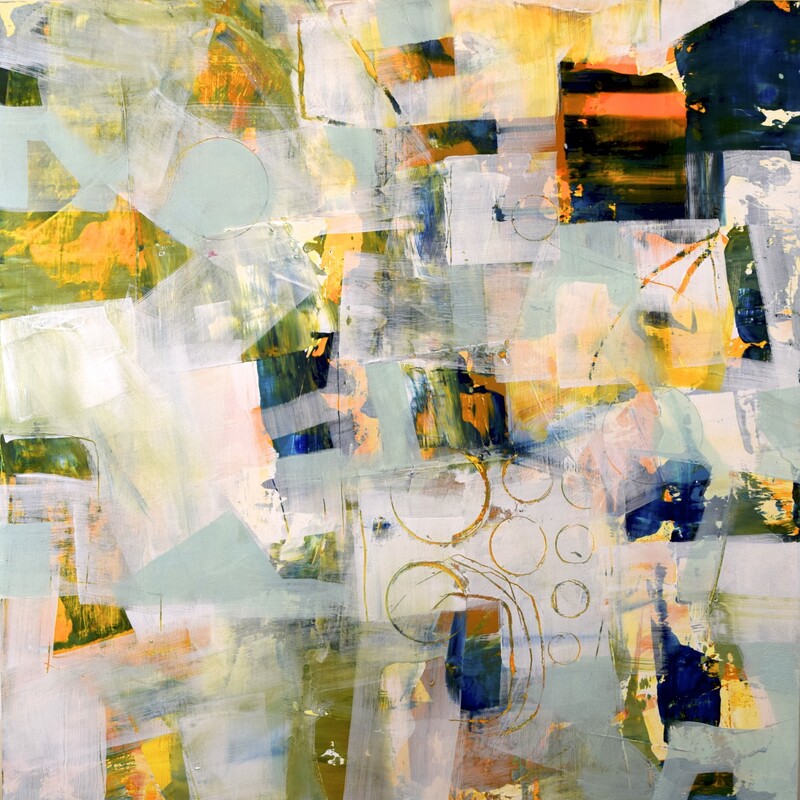 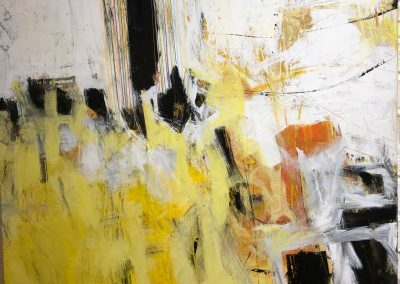 Linda has spent much of her career focusing on finding the essential and the abstract form in all her work. 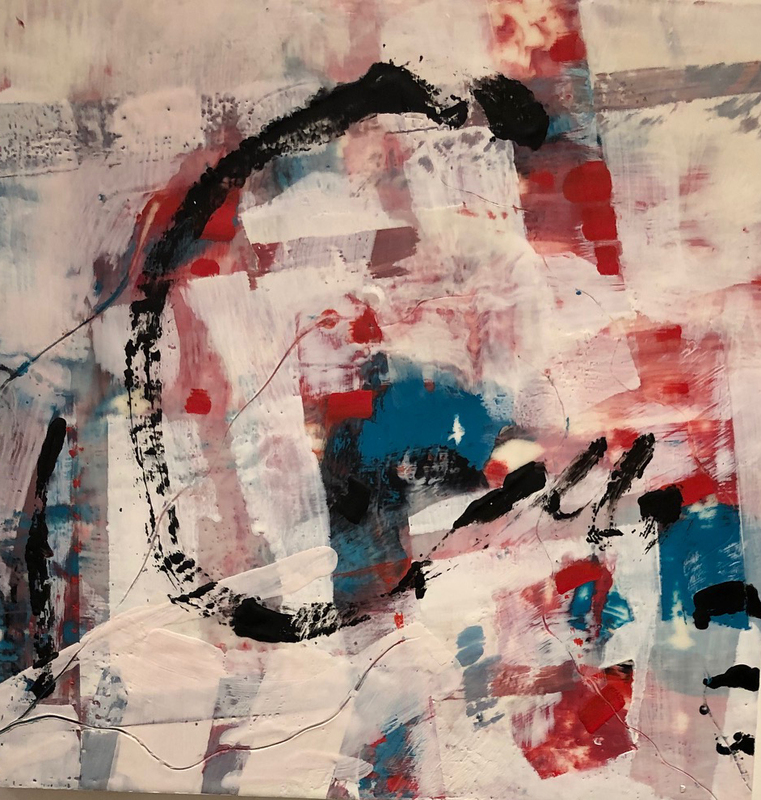 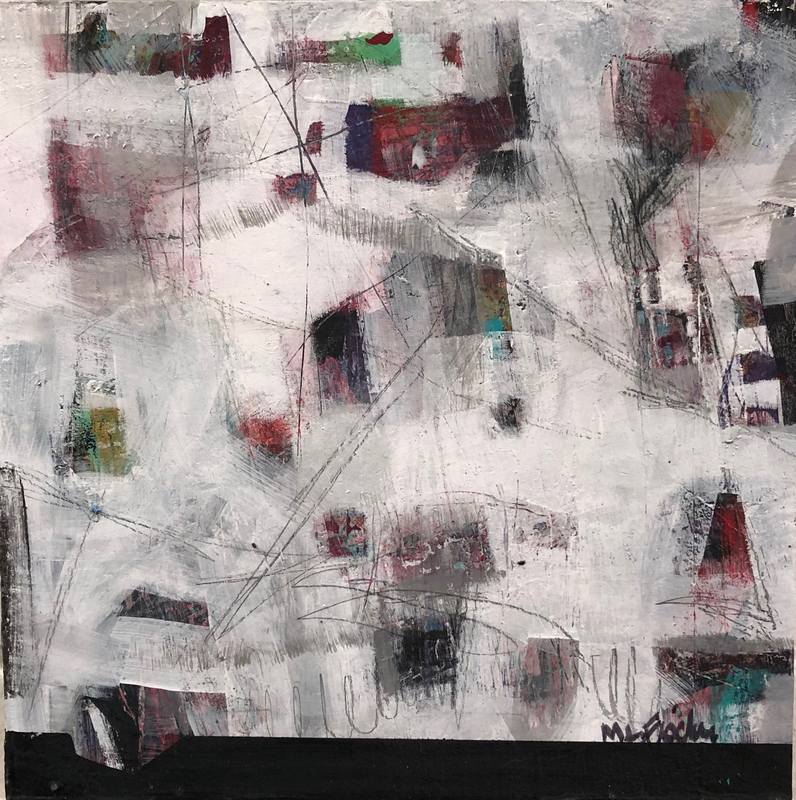 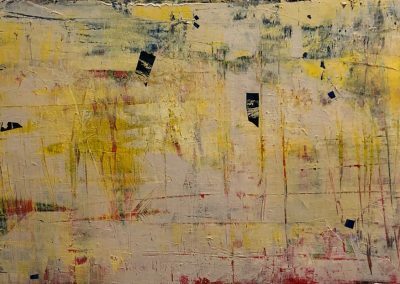 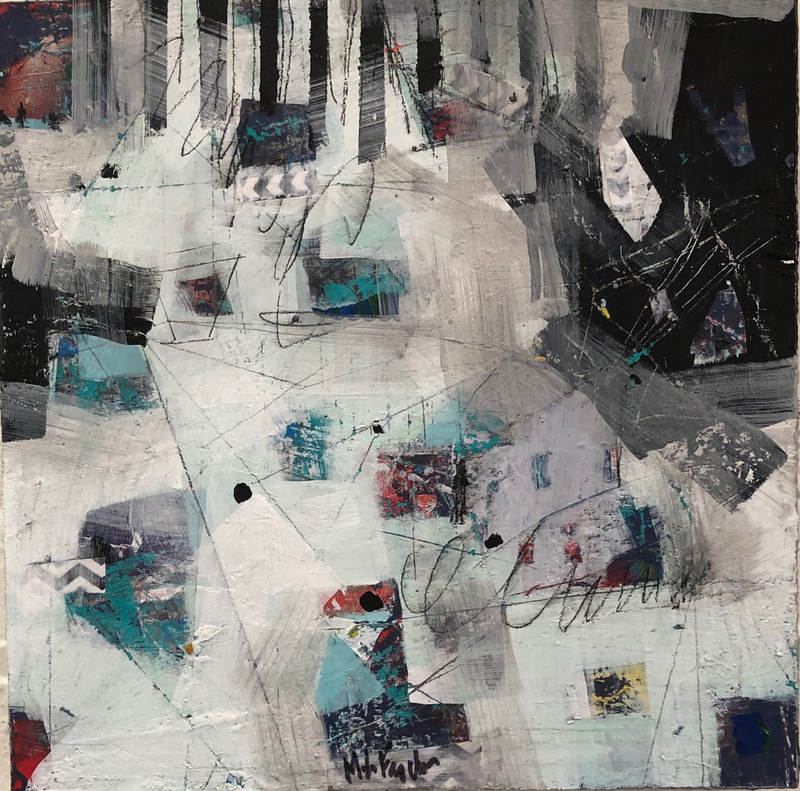 Strong composition, visual texture, bold use of color and trusting her use of intuition are some of the elements used to elicit emotional responses from the viewer. 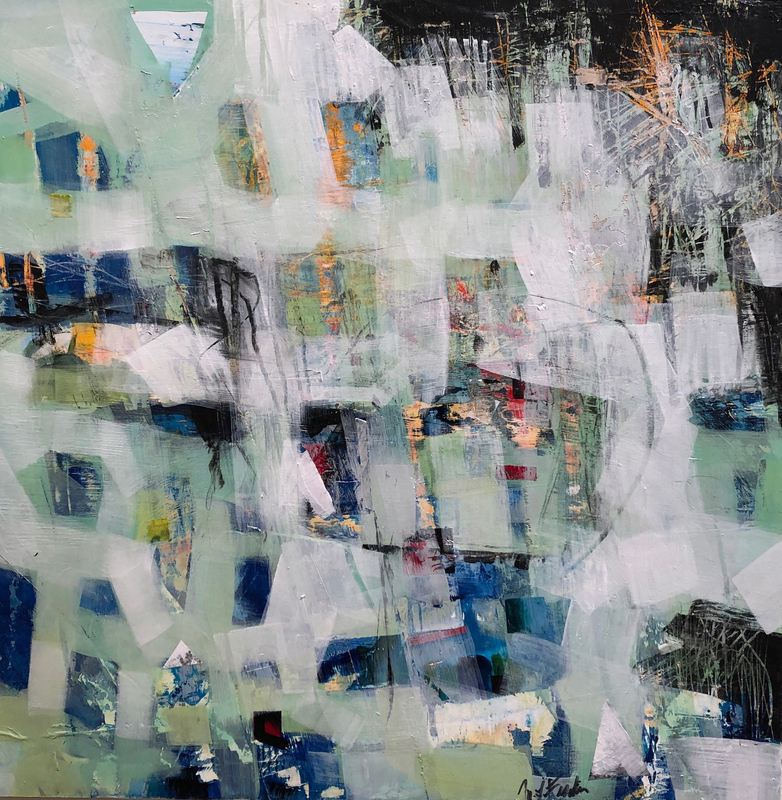 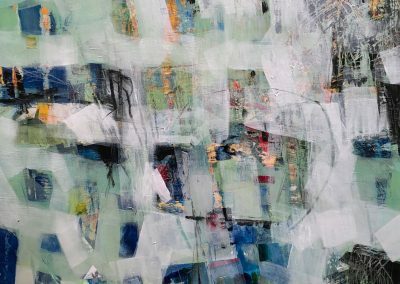 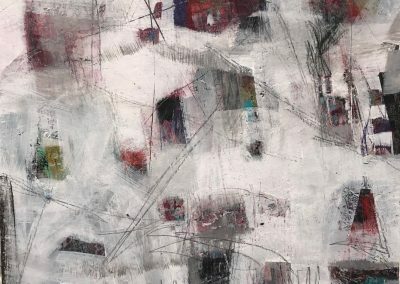 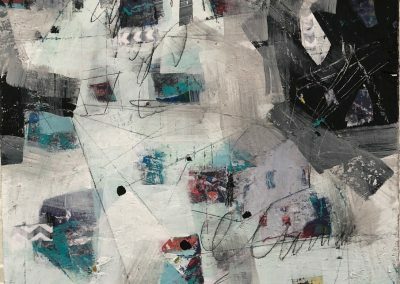 Applying many layers and glazes and textural build up changes the view point and draws the viewer in seeing the painting from a different perspective.